The Chinese Lunar New Year of the Goat (Sheep and Ram), the eight sign in the 12 cycles of their Zodiac, is being celebrated in China and other parts of the world, so on Thursday, February 19, 2015, the Oceanographic Museum in Monaco organised a colourful party to honor the most populous country in the world. Firecrackers exploded and dragons danced during the festivities. 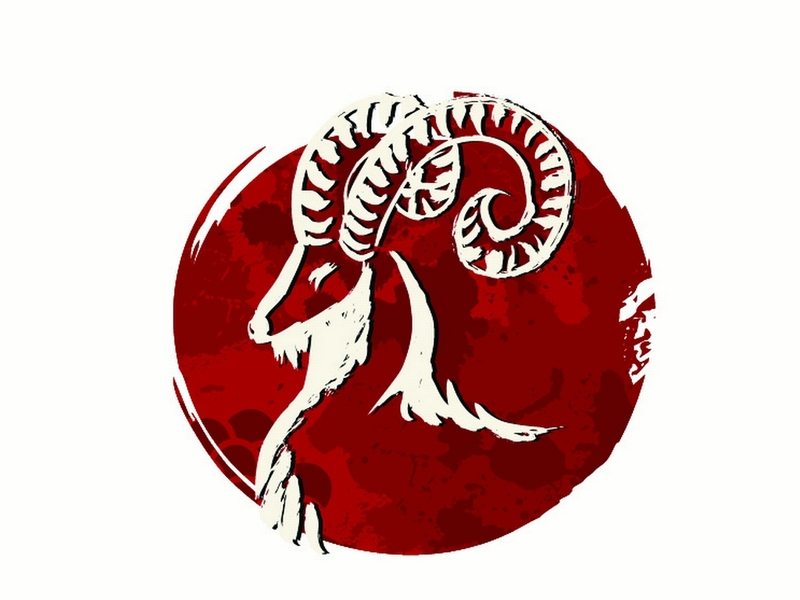 The Goat is a Yin energy, a symbol of Peace, Harmonious co-existence and Tranquility. The Goat is the symbol of the Arts. It relates to passive and nurturing times. For those who trust in goodness, happiness and success will follow. The Museum is really like a chameleon with the ability to transform itself according to each event or exhibition, and people felt transported to that faraway mystical land, such was the ambiance recreated for the occasion. Furthermore, guests had the chance to enjoy the behind-the-scenes of the formidable exhibition On Sharks &amp; Humanity, with 11 works of art created specifically for the Museum by 10 contemporary talented Chinese artists. There is still time to visit the exposition until March 8, 2015, don’t miss it! After a period of 9 months and being viewed by almost half a million visitors, the exhibition “On Sharks and Humanity”, orchestrated by Parkview Arts Action in collaboration with NGO Wild Aid, will be leaving the Oceanographic Museum to be installed at the Ekaterina Cultural Foundation Moscow, opening to the public on May 28, 2015. From there the exhibition will be returning to Bejing for the final showdown at the National Museum of China. Each one of the unique works, in this colossal installation, summon the visitors to look beyond prejudices, and question our complicated relationship with sharks and by extension with nature. The non-for profit Ekaterina Cultural Foundation was established in 2002, and has been engaged in organizing exhibitions, publishing, collecting works by contemporary artist, and supporting cultural and educational projects. Since its inception the Foundation collaborates with state museums, art centers and other non-for profit institutions both in and outside Russia. The exhibition On Sharks & Humanity emphasizes through an artistic interpretation the important role sharks have in the regulation of the marine ecosystems, thus the negative impact of overfishing. Robert Calcagno, Director of the Oceanographic Institute in Paris and the Oceanographic Museum in Monaco, explains that some sharks are aggressive but most don’t present a threat to mankind, quite the contrary: “Sharks are fragile because they are the ultimate predator.”In order to combat the shark’s negative image, the museum engaged in the exhibition On Sharks and Humanity, in close cooperation with Parkview Art Action and Wild Aid, exploring the relationship between humans and sharks. In order to combat the shark’s negative image, the museum engaged in the exhibition On Sharks and Humanity, in close cooperation with Parkview Art Action and Wild Aid, exploring the relationship between humans and sharks. “Sharks are all the way at the top of the ocean’s food chain. They play a vital, regulatory role. They eat sick animals and keep our oceans healthy. If sharks were to disappear, the balance of marine life would come under threat and our seas would gradually fill up with algae and jellyfish,” added Robert Calcagno. On Sharks & Humanity brings together original works by 10 contemporary Chinese artists, each of them expressing in their own particular way, the tense relationship of humans and sharks. Individually and together they draw attention to the many different aspects of his urgent environmental issue that matters to us all. Shark preservation is undoubtedly critical and their decline poses a fundamental threat to the health of the world’s oceans. Xia Hang – His works made of polished stainless steel can be assembled and disassembled, exploring multiple configurations. Poseidon was made in stainless steel measuring 380 x 175 x 192cm. In this sculpture the shark is portrayed as a war ship, but a sense of transience is evoked as the different elements can be reassembled in a different form. Liu Zining – The artist’s style is expressed through the use of color and perspective to explore visual power. He will exhibit 2 pieces: Looking at me, looking at you, using board, propylene, silk mesh, transparent acrylic, 300 x 200 cm. The other one entitled Us, using board propylene, silk mesh, transparent acrylic 300 x 200 cm. The eye is portrayed as an expression of the interior world. Looking back at the shark in a mutual exchange with the viewer’s image reflected in the shiny surface, placing them at the center of the work. The indignant and sorrowful expression in the shark’s eye moves the viewer humanizing the experience. That’s really so excellent !!! Thank you very much Celina. It is very much appreciated. All the best to you and Zsolt! !